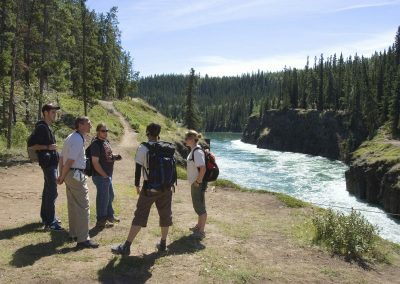 Walk along the shores of the impressive Yukon River through beautiful Miles Canyon and learn about Yukon’s natural history. Walk along the shores of the impressive Yukon River through beautiful Miles Canyon. 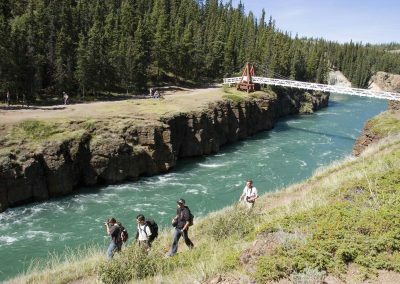 On this easy, non-paved interpretive walk, your guide will point out important areas during the Klondike Gold Rush and share colourful stories of the Yukon past and present. 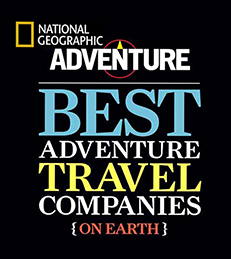 Discover interesting facts of Yukon’s natural history and geology and discover our northern plants and wildlife. Guided walk through the historical Miles Canyon. Walk along the shores of the impressive Yukon River through beautiful Miles Canyon. Learn about the history of the Canyon during the Klondike Goldrush. 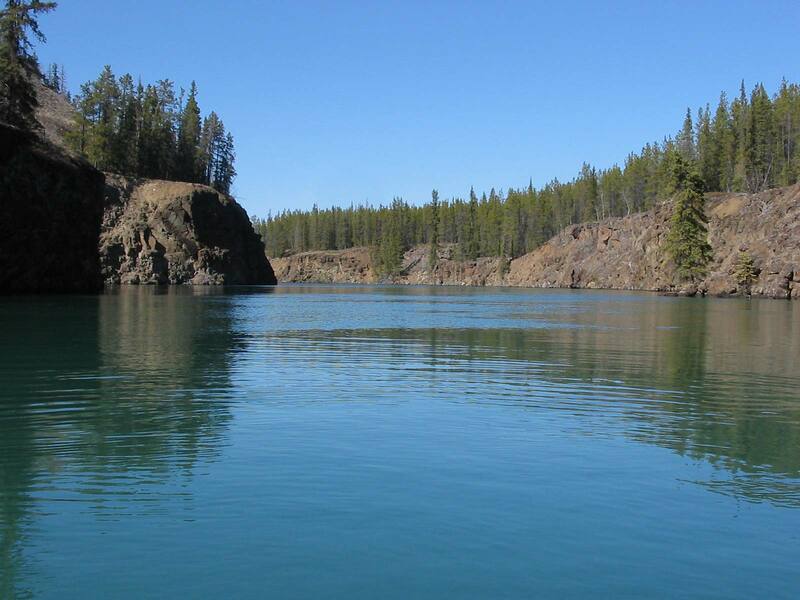 Discover interesting facts and geology of Yukon’s natural history. A great opportunity to spend an evening stroll in a beautiful area. For this short walk, we recommend that you dress in comfortable clothes with sturdy shoes. A light windbreaker is always useful to keep in your bag. The Miles Canyon nature walk is offered every evening over the summer month.